Every year, Inman celebrates the most innovative MLSs and associations, the keepers of real estate data and industry standards that are not only keeping pace with the frantic changes happening in real estate but also setting the pace themselves through new programs and technologies. This year’s finalists for the Inman Innovators Most Innovative MLS, Association or Industry Organization come from all over the country and represent all kinds of markets, but they all serve their members exceptionally well. 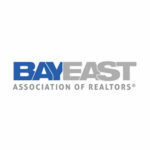 Bay East Association of Realtors: Bay East Association of Realtors offers an educational program for agents that helps them grow their businesses in addition to offering the slick, modern Cloud MLX interface for agents — for free. By giving its member partners such powerful and useful tools, it’s delighting both agents and brokers in its service area and winning fans for life. 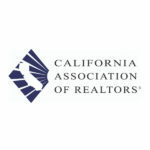 The California Association of Realtors: The California Association of Realtors (CAR) has committed to help elevate women in the industry through its WomanUP! initiative. It’s hosted WomanUP! events and promoted the initiative cleverly with social media, using its influence to encourage women who are agents today to become brokers (or more!) tomorrow. CAR also works to educate the real estate industry about the future of home sales with livestreamed panels featuring renowned experts who share their insights. The MLS Roundtable: Two heads are said to be better than one, and the great minds behind the MLS Roundtable have managed to get seven of the best “heads” in real estate together for problem-solving and troubleshooting that ripples out to everyone in the industry. 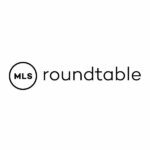 The MLS Roundtable is a think tank whose members include Bright MLS, CRMLS, MRED, RealTracs, Northwest MLS, MLS PIN and CarolinaMLS. Together they examine the challenges associated with implementing meaningful change and seek solutions to those challenges for the benefit of MLSs everywhere. 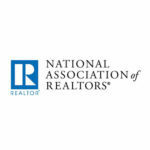 The National Association of Realtors: NAR CEO Bob Goldberg has made big strides in his first year of leadership, embracing disruptors, eliminating the forced MLS membership rule, cracking down on MLSs that don’t abide by data standards and teasing “active discussions” with tech giants Facebook, Amazon, Netflix and Google. His willingness to rock the boat is allowing a stronger, more competitive NAR to emerge and lead the industry to a brighter future. See the rest of the Most Innovative MLS, Association or Real Estate Organization finalists.